Adam Levine breaks the myth of interesting celebrities...and declares them all "lame"! 4. 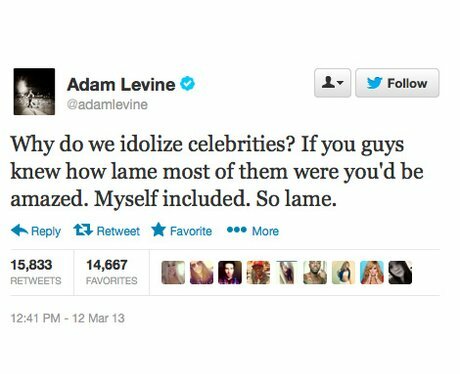 Adam Levine breaks the myth of interesting celebrities...and declares them all "lame"!